Sometimes, we make things way, way too difficult. Business is down by 10%, so we dig into landing pages and email performance, not realizing that the reason business is down 10% is because customers don't want to buy the merchandise we offer. Oh, people hate hearing this. It can't be the merchandise. It has to be the marketing folks! If you're in marketing, fight back. 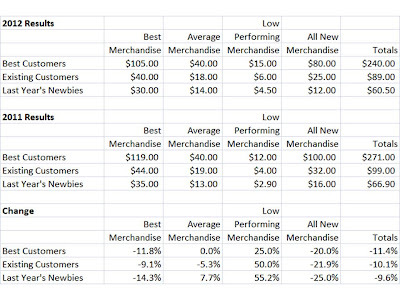 Analyze merchandise performance within the context of different customer audience. In this example, there are two problems, and neither is audience driven. Best items are performing poorly, year-over-year. Low performing items are performing well. This will happen when there is a level-shift in item performance. Equally important is that new items are performing terribly. 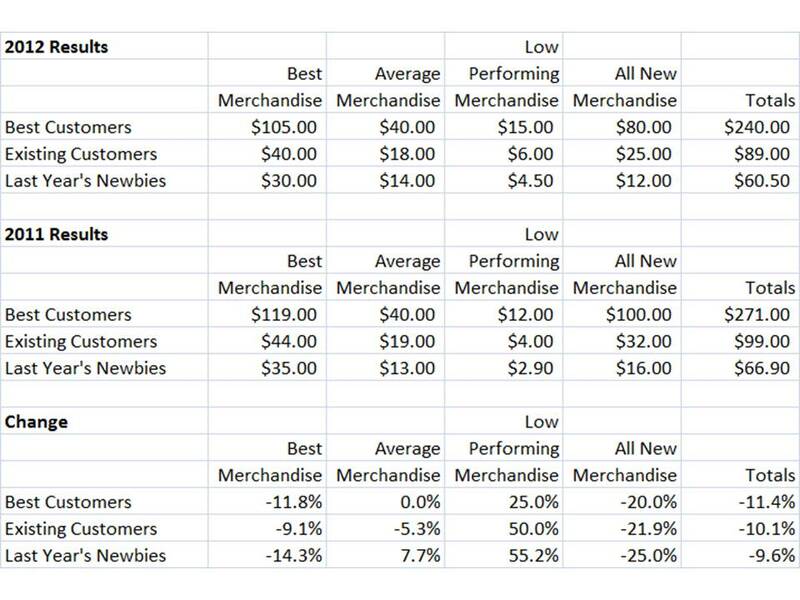 In this example, the same performance happens across customer segments. This business is failing because the merchandising team is not doing their job. Best items stink, and new items stink. This is the reason the business is struggling.